A restaurant or bar cannot function without an ice machine. So, if your machine goes on the blink, you will have many unhappy patrons drinking lukewarm beverages! This will affect your bottom line for sure. Thankfully, there are a few simple ways to keep your ice machine running optimally, so that you can get access to ice as and when the need arises. 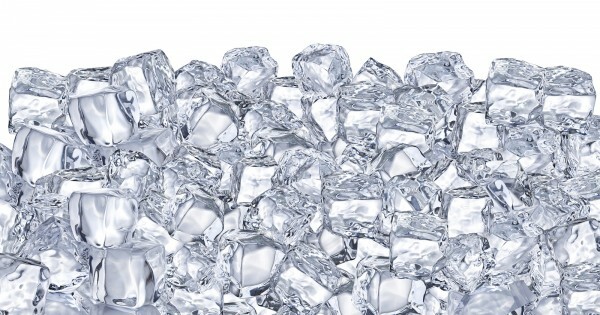 Here are some invaluable tips to keep your ice machine running efficiently and effectively. Just like any other appliance you have in your establishment, your ice making machine requires regular cleaning. All ice makers use water and the environment inside the machine is wet. As a result, these machines are prone to scale, slime and mold. You definitely don’t want these unwanted guests in your machine or your customers drinks. Furthermore, a dirty machine can result in a foul odor emitting from the ice. It will mar the taste of the beverage and also can lead to sickness among your patrons. If your bottom line is more important than your customers health, then consider that an ice machine that is not cleaned regularly also ends up being inefficient and more expensive to run by using more energy to make the ice. Some machines have an in-built cleaning process, while others have to be cleaned manually. Check at the time of purchase the manufacturer’s instructions on cleaning and stick to it. It will ensure your ice machine functions optimally at all times. As you will be using regular tap water to fill your ice making machine, a water filter is imperative to trap debris, particulate matter and other unwanted suspended particles in the water. These contaminants can damage the delicate internal parts of the ice making machine and also result in scale and slime formation. Installing a water filter is a great first step, but is not enough. You still need to clean your machine regularly and be sure to change the filter cartridge as per the manufacturer sepcs which is usually every six months. Installing a proper ice machine water filter will ensure quality of the ice and also make sure your patrons do not succumb to waterborne diseases. Many cases of food poisoning actually come from “dirty ice” rather than the food. Water filters can also boost the life expectancy of your ice making machine. If you are using well water, be sure to also include a pre-filter which will filter out some of the larger particles such as rocks and sand preserving the life of your more expensive water filter cartridge. Just like any other electric appliance in your establishment, your ice machine requires power to function. Make sure it has dedicated power supply and is not subject to power surge. We have seen so many instances of ice machines or other appliances connected to the same breaker for days, months or even years, but there will come a time when the connected machines reach start-up mode simultaneously and overload the amperage damaging everything that is connected. Of course changes in the voltage or amperage can damage your machine and also prevent it from functioning. It only takes an instant to short-circut your machine. This is a must, as it helps monitor and keep all the parts working properly. Routine service and maintenance is also the best and most cost effective way to spot any problem before it becomes big and prevents the machine from running properly. Always use a qualified and trained technician to service and maintain your ice machine. At the time of purchase, check if the machine requires maintenance. If not, figure every six months as a good starting point. This will keep your machine working at its best at all times. Use these simple yet effective tips to keep your ice machine not only working but also efficiently.. This is an excellent investment and you will not regret it, especially when your customers ask for ice and you can offer them as much as they need without any hesitation.